Offering year round sunshine and steeped in history, the Bahamas is one of our favourite charter spots. Follow in the steps of Christopher Columbus who first made landfall in the New World here, pirates who used the islands as a haven in the 1600s and where British loyalists made their homes following the American Revolution. 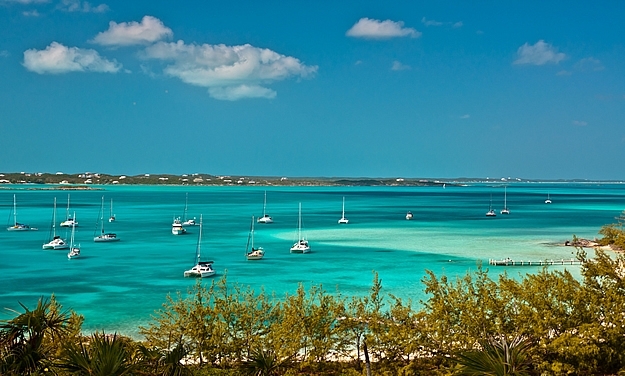 With 29 islands, 661 cays and nearly 2400 islets surrounded by clear turquoise water, it is a sailor’s paradise. Located just 100 miles off the Florida coast and a two hour flight from New York you can find yourself relaxing on a warm teak deck in record time.